This is a dojo where one learns to become a better human being through the training of Aikido; therefore, we attach great importance to decorum. Instead of idle talk and vapid ideas, action and performance are greatly esteemed here. 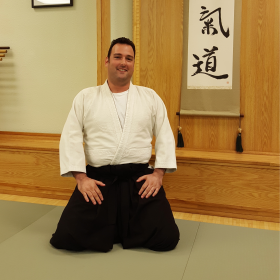 Aikido of Scottsdale (AOS), also known as Aikido Family Martial Arts Center, offers traditional Aikido training for adults and children age 5 and up. 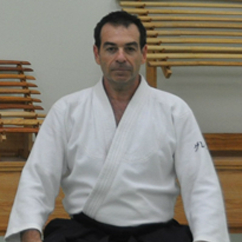 The chief instructor is Glenn Brooks, 6th degree black belt. Come train with us in a safe and welcoming environment. We offer friendly, age-appropriate classes for 5 years old and up. All members can attend unlimited classes each month. Dues are remitted monthly (pay as you go basis). There are no contracts and members can cancel at anytime. Please contact us with any questions or drop by during class hours. Copyright Aikido of Scottsdale 2017. All rights reserved. Glenn Brooks hails from Chicago, IL. He graduated from Chicago Medical School, is a licensed Physical Therapist, holds a 6th degree black belt in Aikido and is an avid Crossfitter. 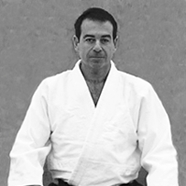 Brooks began his Aikido training in Chicago in 1979 under the direct instruction of Akira Tohei, 8th degree black belt and direct disciple of Aikido founder, Morihei Ueshiba. Brooks trained with Tohei Sensei for the next 17 years. 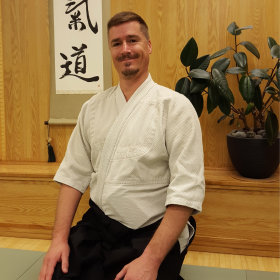 In 1996, Brooks Sensei then relocated to Scottsdale, AZ to continue his career in Physical Therapy and open his Aikido school, "Aikido of Scottsdale". 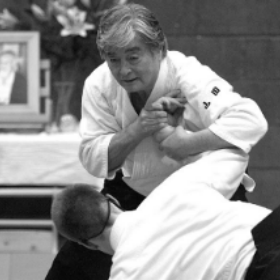 Then in 1999, upon the passing of Akira Tohei, Brooks was appointed to the Midwest Aikido Federation technical teaching and examination committee to carry on Tohei Sensei's legacy thru teaching seminars and conducting promotional testing for its vast membership. In 2003, Brooks Sensei was promoted to 5th degree black belt and awarded the title of Shidoin 'professional instructor' by Yoshimitsu Yamada Sensei, 8th degree black belt and also direct disciple of Aikido founder. Brooks was then soon appointed [by Yamada Sensei] to serve on the US Aikido Federation Board of Directors. 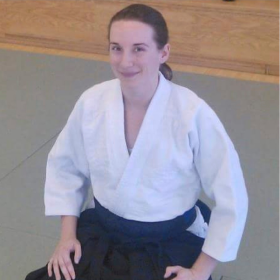 In 2009, Brooks Sensei was promoted to 6th degree black belt. 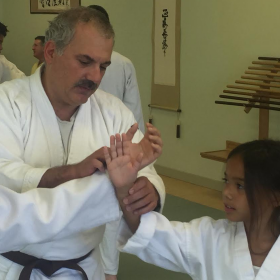 In 2017, Yamada Sensei promoted Brooks to the esteemed level of "Shihan", the highest level of instructor. Brooks has trained throughout the world, including Japan under the most senior Aikido instructors in the world, most notably the founding Aikido family at the Aikido World Headquarters in Tokyo, Japan. Brooks Sensei also provides Personal Security services for the music and entertainment industry. His clients include Linkin Park, Matchbox 20, Rob Thomas and Stone Temple Pilots. He has fulfilled his dream of opening an Aikido school and humbly gives back to his beloved martial art every day. Tohei Sensei was born in 1929 in Tochigi Prefecture, Japan. He began his practice of Aikido in 1946 under the direct instruction of Aikido founder, Morihei Ueshiba.In 1963, Tohei was asked by the Aikido founder to accompany his son, Kisshomaru Ueshiba on a three-month tour of Aikido dojo in Hawaii, after which Tohei was asked to stay and teach Aikido throughout the Hawaiian Islands for nine months. In 1964, he returned to Japan and joined the teaching staff at Aikido World Headquarters (Hombu Dojo). For the next eight years Tohei, in addition to his teaching at the headquarters, was also an instructor at Asia University, Akita Economics University, Keio University, Nihon Women's University, the Ground Self-Defense Forces, and the Naval Self-Defense Forces. 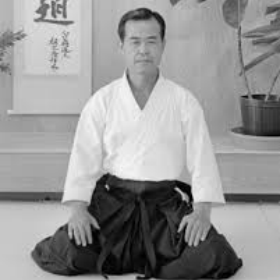 In 1966, Tohei Sensei was awarded the title of Shihan (Master Instructor, 'teacher of teachers') by the Aikido founder. Tohei was then dispatched to Chicago in 1972 where he founded both the Midwest Aikido Federation, and in 1975, the Midwest Aikido Center. Shortly thereafter the MAF became the Midwest Region of the USAF. Tohei Sensei was promoted to 8th dan in 1989 by Aikido Doshu, Kisshomaru Ueshiba. He also served as Chairman of both the USAF Technical Committee and North American Shihankai. Through Tohei Sensei's guidance and leadership, the Midwest Aikido Federation grew to over 50 dojo throughout the Midwest. Up until his death on July 2, 1999, he was the most senior Aikido instructor in the United States. Yamada Sensei originally served as an uchi deshi (live-in student), under the instruction of the founder of Aikido, Morihei Ueshiba. He has since dedicated his life to the dissemination of Aikido throughout the world. Yamada Sensei is the Chairman of the United States Aikido Federation and president of the Latin American Aikido Federation, which has over 400 dojo in South America, Central America, and the Caribbean. 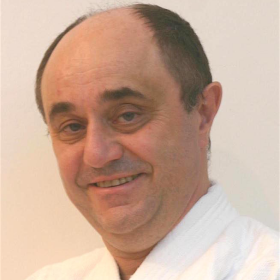 He leads the technical committee for North America and is a member of the Supreme Council of the International Aikido Federation. Yamada Sensei is known for his clear and strong basic technique. He teaches seminars worldwide and thousands of students have attended his classes. "We must keep the spirit of budo no matter how we practice," he says.